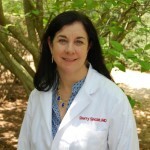 Dr. Sherry Sinclair is a native of Clinton, NC. She earned a BA in Biology from the University of North Carolina at Chapel Hill and an MS in Physiology from North Carolina State University. She received her medical degree from East Carolina Brody School of Medicine and completed both Internal Medicine Residency and a Rheumatology Fellowship at Medical College of Virginia-Virginia Commonwealth University. 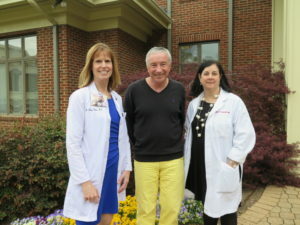 She has been in private Rheumatology practice since she joined Triangle Arthritis in Raleigh in 1998, and she is board-certified in Rheumatology by the American Board of Internal Medicine. Dr. Sinclair is a member of the American College of Rheumatology and the North Carolina Rheumatology Association, and enjoys seeing patients across the entire spectrum of Rheumatological care. She is busy outside of work with her husband and two daughters, and she enjoys teaching Sunday School at White Memorial Presbyterian Church, gardening and spending time with friends.